I have never wanted to walk out of a show before. There are a large range of shows at the Edinburgh Fringe – of varying quality. And some of them can be a bit hard to sit through, at times. 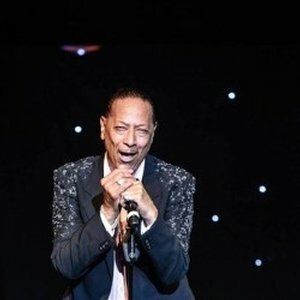 But nothing was as much of a personal challenge as remaining in the theatre for an entire hour of the hubris of Peter Straker. Straker clearly resented having to do the performance I attended. I know this because he made it incredibly clear, insulting the size of the audience (three times), the Fringe as a festival, the size of the stage, the lighting…he did not talk much, but every time he did, he made it clear that nothing was good enough for Peter Straker. Jacques Brel wrote wordy songs. Which often used metaphors and a barrage of text. The music and lyrics of the songs are strong enough to be performed without theatrical bells and whistles. And yet, Straker expressed emotions through constantly changing lights – sometimes 4 or 5 times in a single song. He danced and pranced and flung himself against the back wall, and ended over 75% of the songs in a blackout – a convention which, if done more than twice in any show, appears contrived and melodramatic. The reverb on the microphone dated Straker’s performance style. When the pianist played a lovely solo, he did it in the dark – the only stage lights were for Straker. The entire performance was steeped in hubris and resentment: from the snark throughout, to tossing a bouquet of flowers right at the face of an audience member without warning, to a second encore (which, of course, ended in probably the tenth snap blackout of the show). Note: There was also an official photographer, whose camera clicked constantly throughout the show and distracted fully half of the theatre. When she was asked to stop, the woman with her was rude and disruptive. This would not affect my review generally, however she was affiliated with the show. And this was one more example of how Straker (and his team’s) focus was on Straker, not on providing a comfortable and entertaining event for his paying audience. If you love Brel, do not see this show. If you are unfamiliar with this genre of music, this is not the introduction you should get.